Besides the adaptive KW DDC coilovers, which are easily adjustable per KW DDC App in damper characteristics to either more comfortable or tighter, we now have the KW DLC App for standard air suspensions available. In combination with the KW dlc airsuspension lowering module for standard air suspensions and a KW W-LAN box, numerous automobiles and SUV with standard air suspension can be lowered. The KW lowering module is simply connected with an adapter plug to the stock wiring. 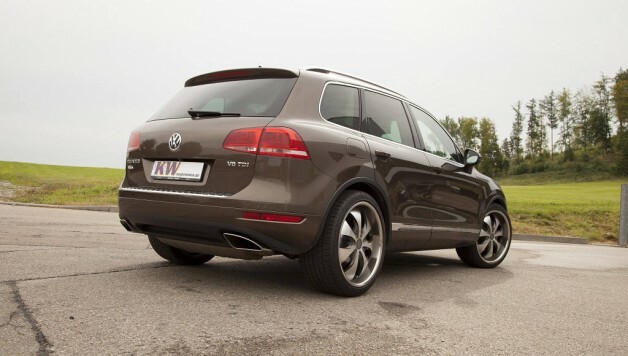 Already the KW dlc airsuspension lowering module including W-LAN box is available for Volkswagen Touareg models. 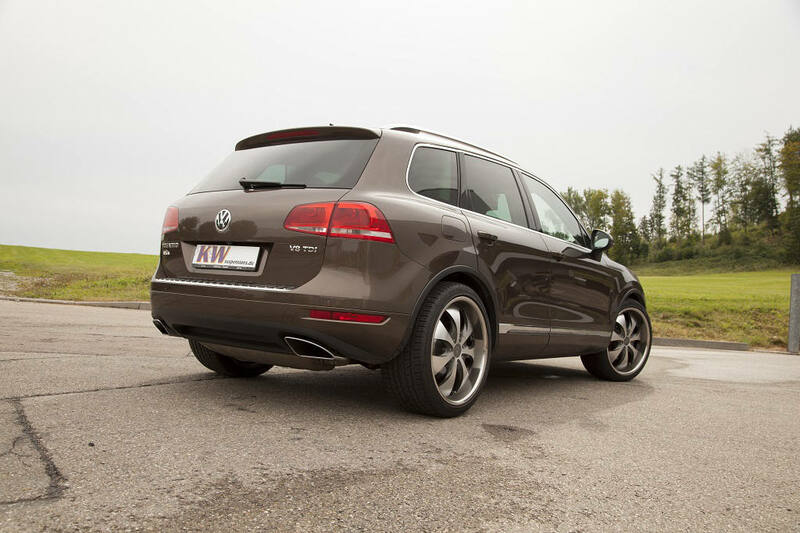 The KW DLC (Dynamic Level Control) allows a visually appealing lowering for VW Touareg models with standard air suspension. The KW DLC is an electronic lowering module, which will be connected quick and easy to the stock wiring via an adapter plug. It enables a vehicle specific lowering of up to 50 mm and it can optionally be adjusted in lowering continuously with the KW DLC App. The intuitive controllable KW DLC App is compatible with Apple iPhone, Apple iPod touch and Apple iPad and it allows lowering the car by the millimetre via the ADCANCED Menu. 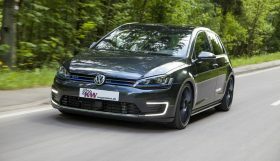 The lowering is carried out by millimetres in the vehicle specific adjustment range. To control the KW DLC per App, the KW control unit just has to be extended with a W-LAN module. “Via the KW DLC App, also different lowering levels for rides on the highway or bad way routes can be stored and even be shared per Email”, explains KW Product Manager Johannes Wacker. 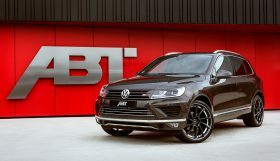 The communication between App compatible devices such as Apple iPhone, iPod touch and iPad and the KW dlc airsuspension control unit which is extended with a W-LAN receiver will occur via a secured WiFi-connection. 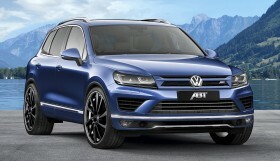 “Thanks to switch placed at the lowering control unit, the lowering will be adjusted in fixed steps, in case someone does not wish to get the convenience of KW DLC App.” Already the KW dlc airsuspension lowering module for SUV and automobile with standard air suspensions from Audi, Porsche, Range Rover, Bentley and other manufacturers will be available. 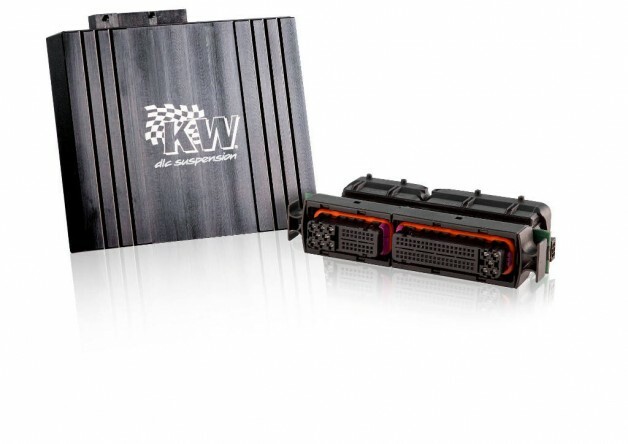 The electronic lowering module from KW will be connected with a vehicle specific plug-in connection to the stock wiring and it is compatible with air suspension systems and driver assistance programs of different automobile manufacturers. For example all functions of Audi “adaptive air suspension”, Mercedes-Benz AIRMATIC, Mercedes-Benz ABC and others remain completely and do not have to be deactivated for the use of KW dlc airsuspension. The KW dlc airsuspension lowering module is available either as complete set including W-LAN module or without individual App-control.